This season, we all have a lot to be thankful for. 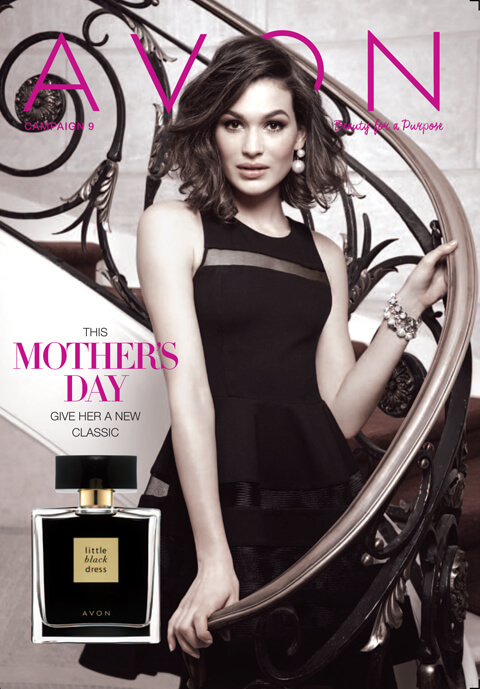 It’s time to embrace loved ones and in this edition of Avon Living, you become the ultimate hostess! 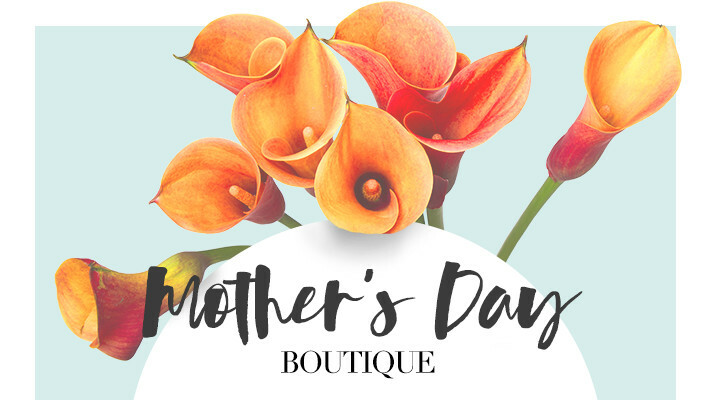 We have all you need to wow the crowd. Create craft cocktails at happy hour (Did somebody say “spiked cider”? Yes, please!) and prep the perfect bird for the dinner party. 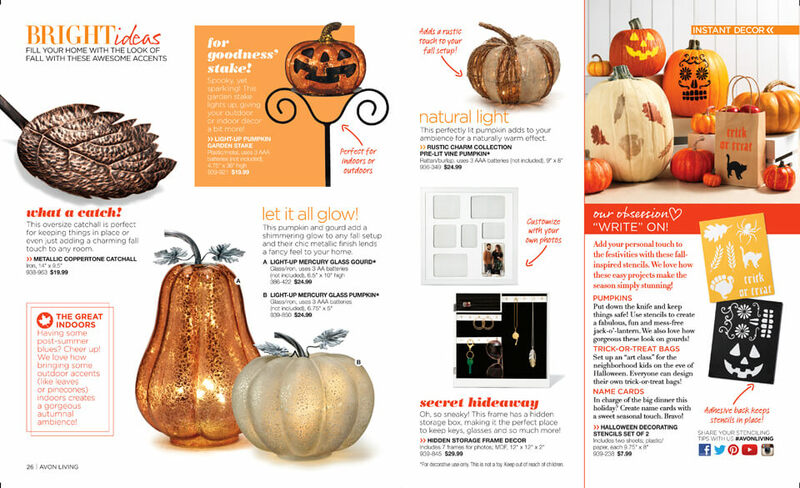 See how easy it is to transform your home into a glowing autumnal haven or a spook-tackular scene with fun fall decor. Help the kids get in the “spirit” by showing off your savvy new pumpking skills, or throw a killer party for all the boys and ghouls. 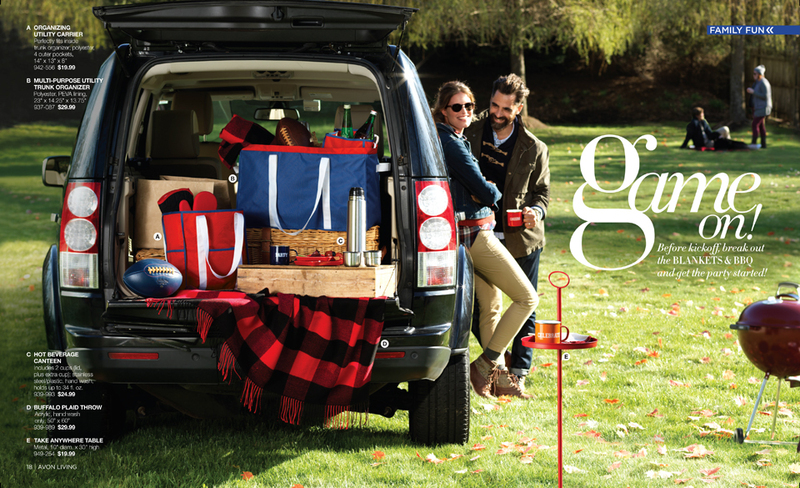 Whatever kind of party you plan to host this season, we definitely have you covered! 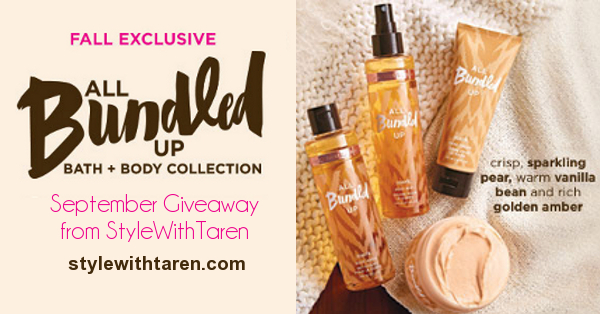 So relax and start shopping with me online for all your favorite fall finds and share your own picture-perfect moments on social media with #AvonLivngStyleWithTaren. Happy Harvest! From happy hour to decadent desserts, your hosting skills shine with the mix of metallics and jewel tones! Combine multiple place settings for a unique eclectic presentation. 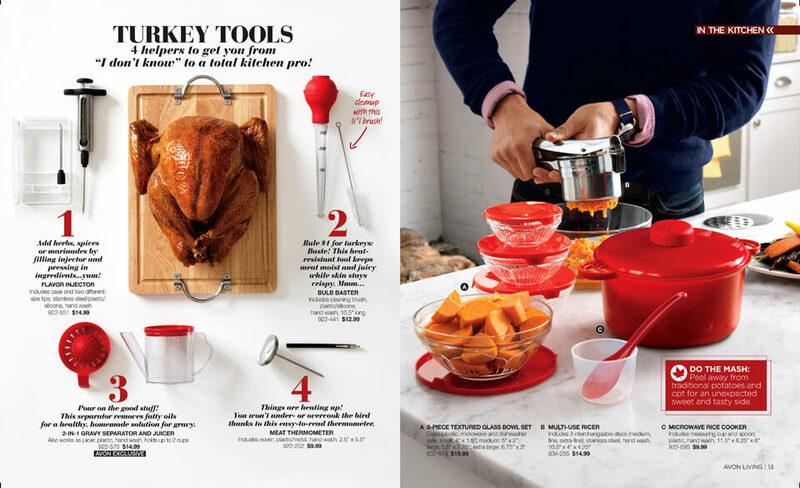 Avon Exclusive – Gourmet Basics by Mikasa Luciana Collection – An Avon Exclusive! The Gourmet Basics by Mikasa Luciana Collection, a unique twist of mocha prints with embossed white dots, straight lines, and infinity loops. Guests will be mesmerized by the unique, eclectic presentation of the stoneware. Avon Exclusive – Gourmet Basics by Mikasa Sofia Collection – An Avon Exclusive! Introducing the Gourmet Basics by Mikasa Sofia Collection, a restyle of your classic whites with simple, elegant embossed prints. 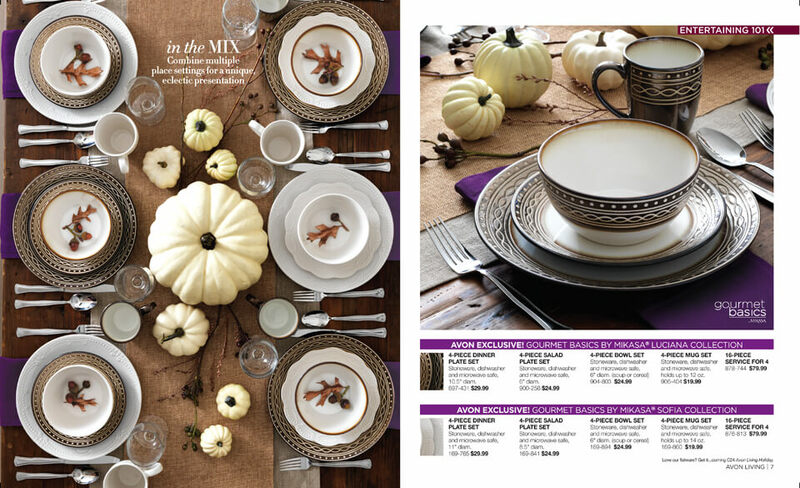 A must-have for a simple dining set that will have guests mesmerized by the classic stoneware. Add a few warm accents and flowery touches to the table for a breezy luncheon look. 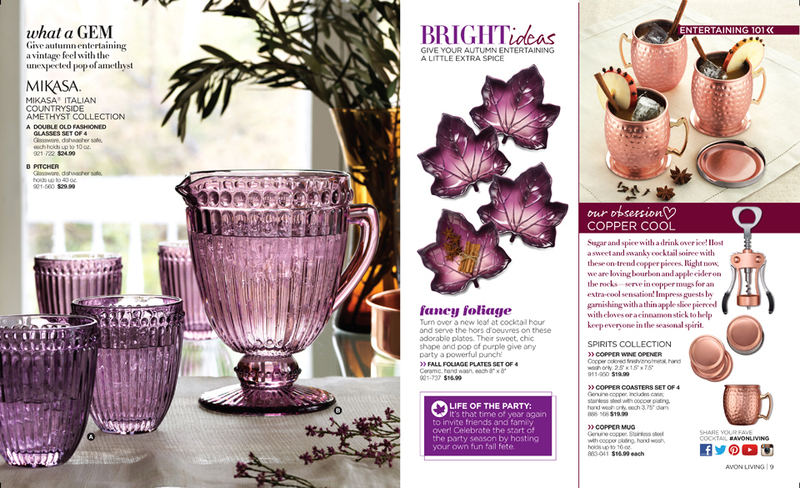 Give autumn occasions a rather vintage feel with the unexpected yet complementing hue of amethyst. Our Obsession COPPER COOL – Sugar and spice with a drink over ice! 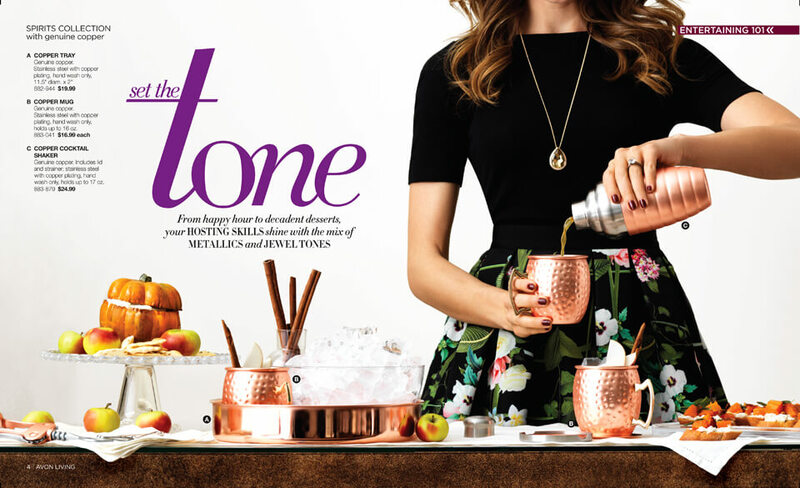 Host a sweet and swanky cocktail soiree with these on-trend copper pieces. Right now, we are loving bourbon and apple cider on the rocks–serve in copper mugs for an extra-cool sensation! Impress guests by garnishing with a thin apple slice pierced with cloves or a cinnamon stick to help keep everyone in the seasonal spirit. 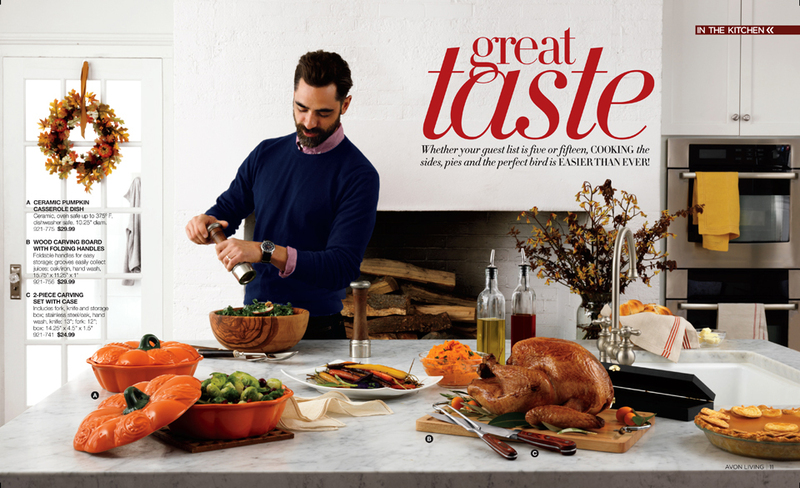 Whether your guest list is five or fifteen, COOKING the sides, pies and the perfect bird is EASIER THAN EVER! Turkey 101: The Internal temperature should be a minimum of 165° F. Check the internal temperature in the innermost part of the thigh and wing and the thickest part of the breast. 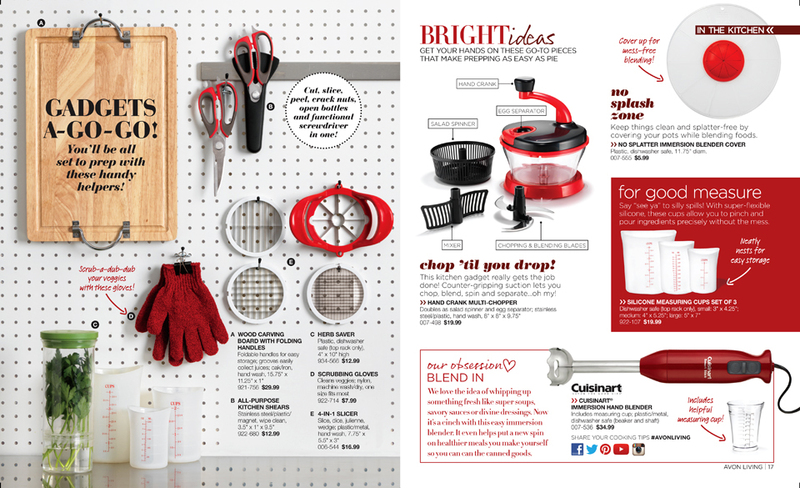 You’ll be all set to prep with these handy helpers! 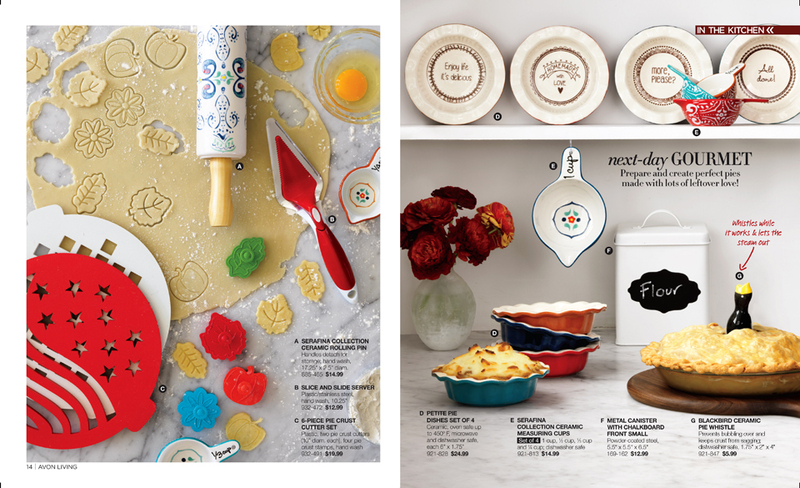 Get your hands on these pieces that make prepping as easy as pie. Before kickoff break out the Blankets & BBQ and get the party started! 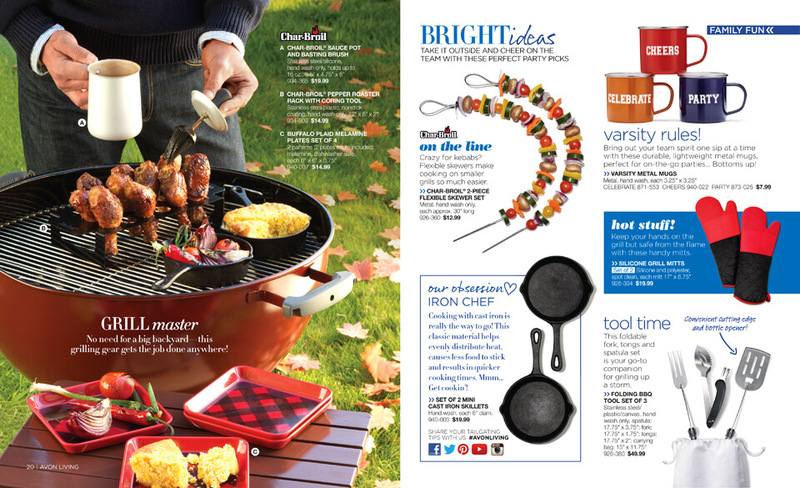 Take it outside and cheer on the team with these perfect party picks. Our Obsession – Iron Chef! Cooking with cast iron is really the way to go! This classic material helps evenly distribute heat, causes less food to stick and results in quicker cooking times. Mmm… Get cookin’! 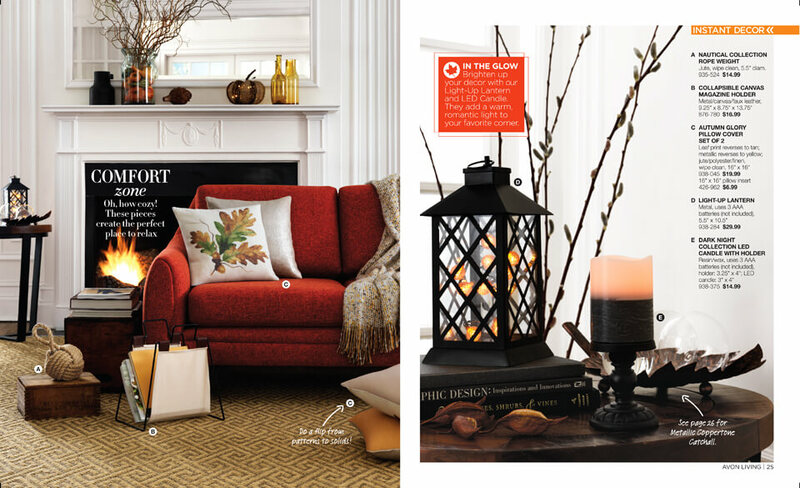 A home filled with NATURE Inspired accents and the warm, COMFORTING GLOW of AUTUMN. F. Glass and Rope Hanging Vase – Illuminating ideas! Light up a room with striking rope-and-glass lanterns. Oh how cozy! These pieces create the perfect place to relax. 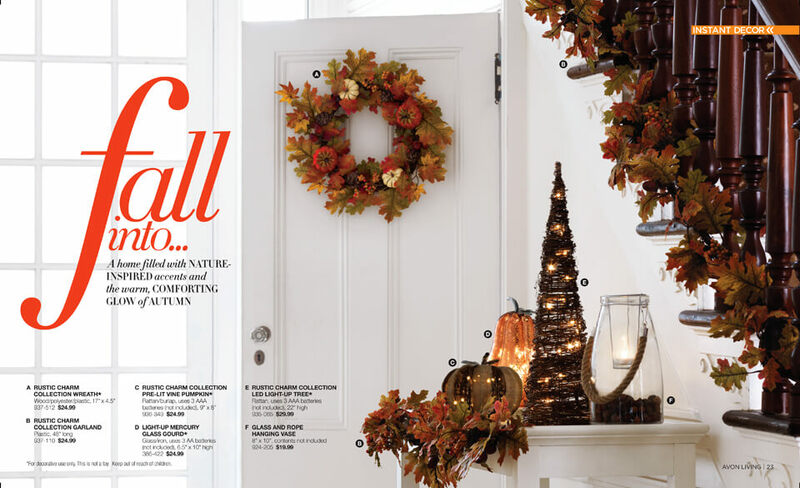 Fill your home with the look of Fall with these awesome accents. This pumpkin and gourd add a shimmering glow to any fall setup and their chic metallic finish lends a fancy feel to your home. This perfectly lit pumpkin adds to your ambience for a naturally warm effect. 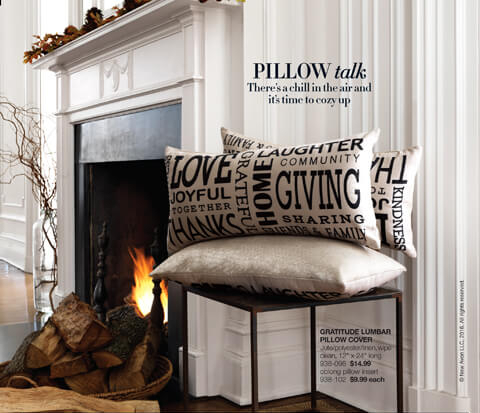 OUR OBSESSIONS: Perfect designs to write on pumpkin, paper, bags, and more! This list goes on and on what these stencils can be put on. Pumpkins: Put down the knife and keep things safe! Use stencils to create a fabulous, fun and mess-free jack-o’-lantern. We also love how gorgeous these look on gourds! Trick-Or-Treat Bags: Set up an “art class” for the neighborhood kids on the eve of Halloween. Everyone can design their own trick-or-treat bags! Name Cards: In charge of the big dinner this holiday? 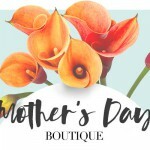 Create name cards with a sweet seasonal touch. Bravo! There’s a chill in the air and it’s time to nestle up to the ones you love. 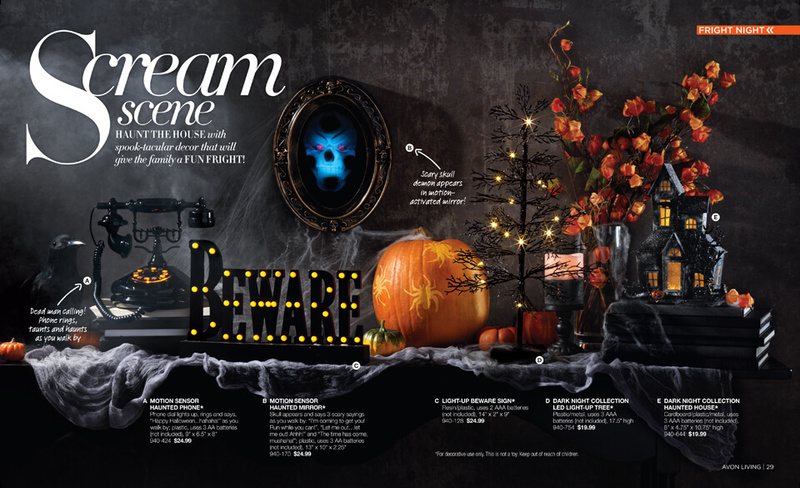 Haunt the house with spook-tacular decor that will give the family a fun fright! Feeling bone-dry? 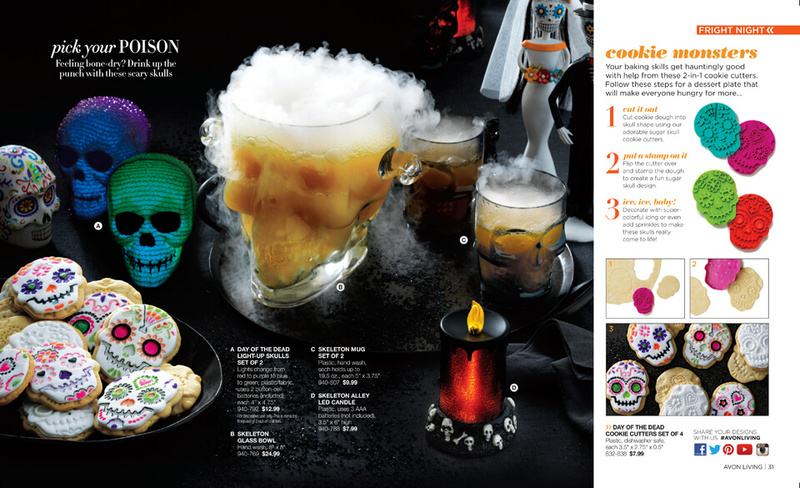 Drink up the punch with these scary skulls. Decorate with super-colorful icing or even add sprinkles to make these skulls really come to life! Day of the Dead Collection: Traditionally celebrated October 31-November 2 in Mexico to honor the spirit of loved ones who have passed, this holiday has become popular is the U.S. It’s a holiday you can personalize and integrate into your own traditions through art, cooking, and activities with the whole family to commemorate family stories and memories. Give your lil’ goblins something they can really sink their teeth into. Turn your home into a Haunted Mansion with these Macabre must-haves! 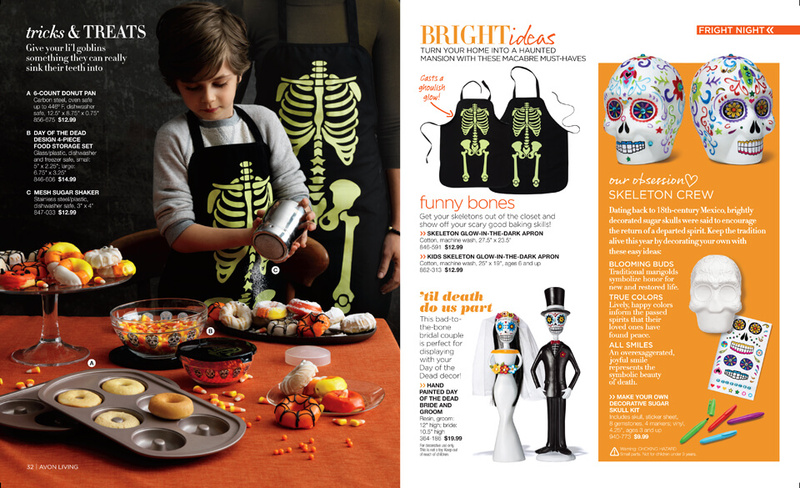 Get your skeletons out of the closet and show off your scary good baking skills. Hand Painted Day of The Dead Bride and Groom – This bad-to-the-bone bridal couple is perfect for displaying with your Day of the Dead decor! This season it’s time to show some character… These kids are our pick of the patch! Get in character! Voilà! 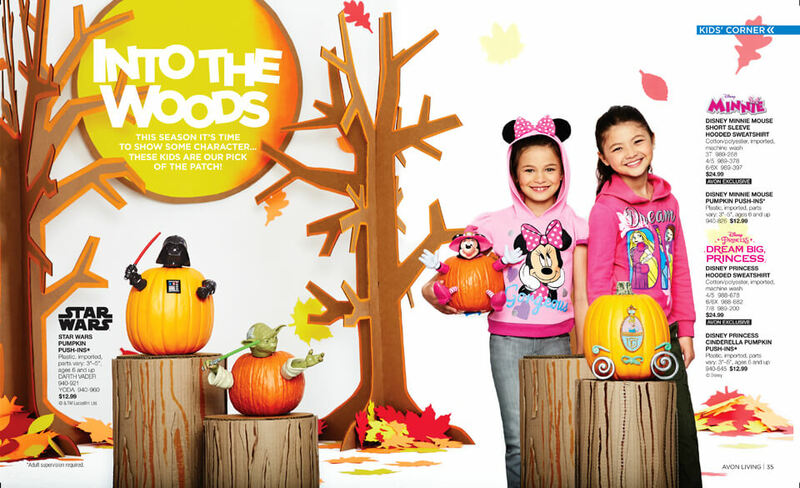 Push in parts to transform your Halloween pumpkin into your favorite character! 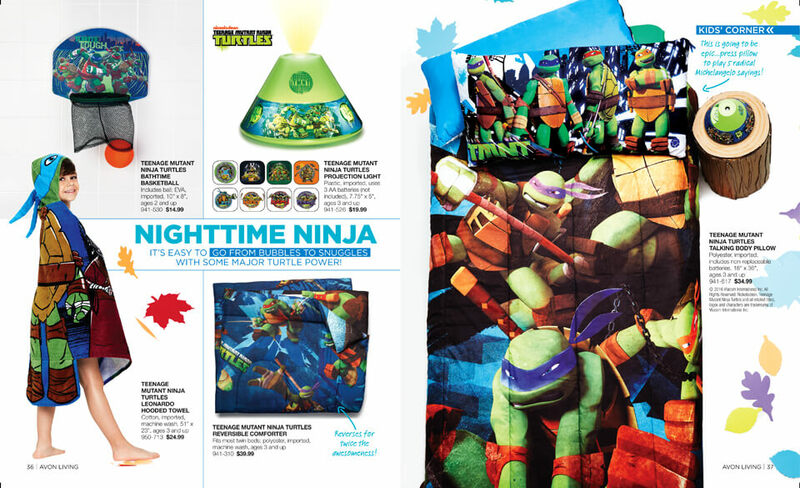 It’s easy to go from bubbles to snuggles with some major Turtle Power! 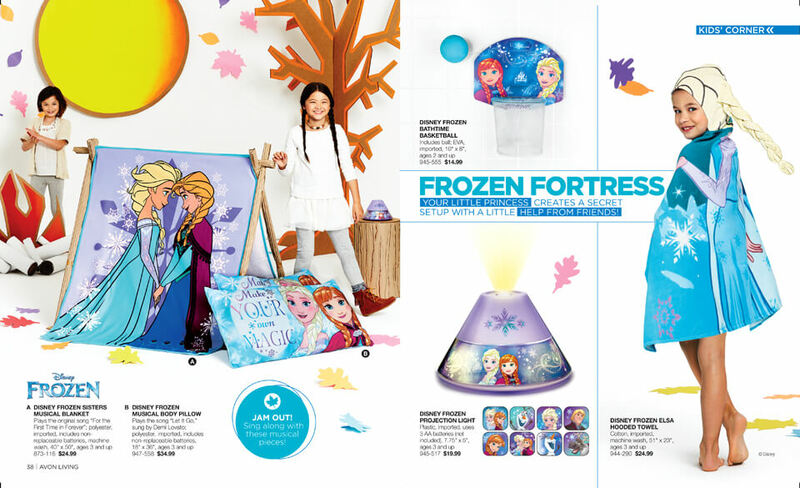 Your little princess creates a secret setup with a little help from friends! 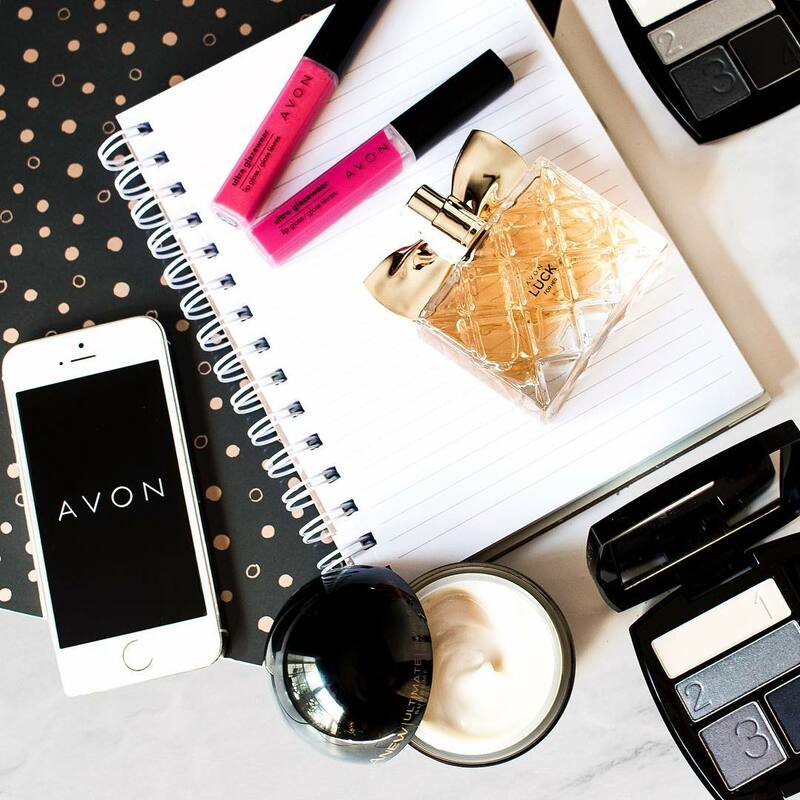 Shop all of Avon Living Fall online in my e-store until 10/21/16.